Generic - Weather Cap (NMEA 2000&reg; cable) Features: Our weather cap protects the cable connector on your NMEA 2000 cable from the marine environment. Generic - Marine Network Cable Connector (RJ45, 2-pack) Features: Use our 2-pack of cable connectors when wiring your marine ethernet connection. Generic - Marine Network Cable (6 ft) Features: Our marine network cable offers an additional 6 ft (1.83 m) of cable. Click the Products tab to view compatible Garmin devices for this accessory. 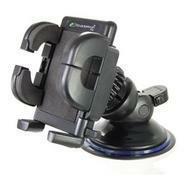 Garmin - Marine Mount 78 Series Need a permanent mount for your GPSMAP 78 series unit? This base is designed to be permanently mounted. Garmin - Marine Swivel Mount for GPSMAP 4x0 Series (Replace Replacement Swivel Mounting Bracket. For use with Garmin GPSMAPs 440 440x 440s 440sx 430 430x 430s 430sx 420 and 420s. 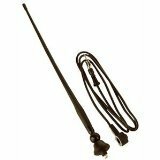 Garmin - Power/Data Cable Bare Wires (Marine Series) This replacement power and data cable has bare wires at the end. Also works with the PC interface cable (010-10150-00). Garmin - Marine Swivel Mounting Bracket (172, 178 Series) This Garmin marine swivel mounting bracket can help you mount your Garmin 178 series sounder in multiple locations.